It’s obvious we love to dance, but without our music, Salsa Babies™ could not offer the programs we do today. We are proud to have enlisted the talent of “Canada’s Latin sensation”, Ricky Franco. Fortunately for Salsa Babies, Ricky temporarily shed his ultra-cool club-scene image and collaborated with us to create music and lyrics for Salsa Babies™, Salsa Bellies™, Salsa Tots™, and Salsa Kids™ programs. 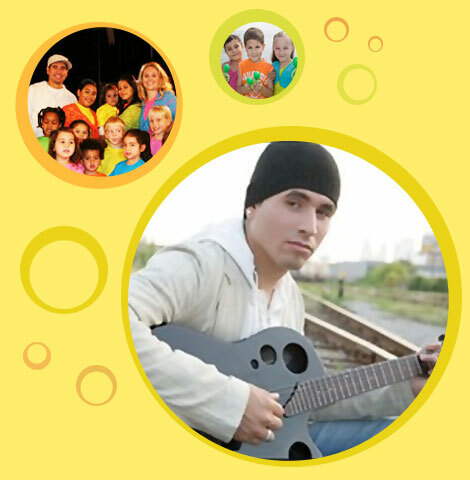 With Ricky’s magical musical touch, our music maintains authentic Latin rhythms while incorporating a child-like charm. The result is an original sound that gets parents and kids alike movin’ and groovin’ to our own unique beat! Ricky began his musical career at the tender age of five with his father’s mariachi “Grupo Azteca”, and since has worked alongside some of the world’s top Latin talent including Ricardo Arjona, Aventura, Huey Dunbar, Tito Nieves and La India. His music has taken him to New York, Miami, Puerto Rico, the Dominican Republic and the United Arab Emirates and in his home town of Toronto you can catch Ricky and his 12-piece “P-Crew Orchestra” at various venues and events throughout the city. Visit Ricky’s website for booking information. Three salsa albums with one favorite rhythm! 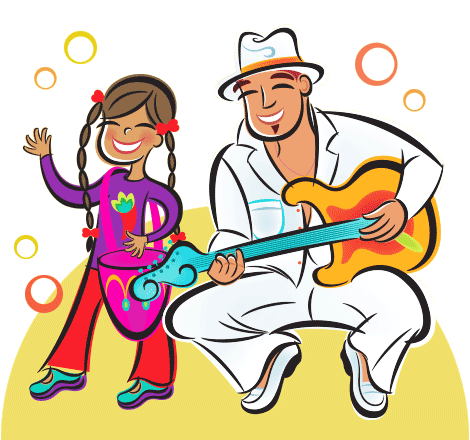 Salsa Kids Music can be purchased through an instructor near you! Salsa Tots Music can be purchased through an instructor near you!